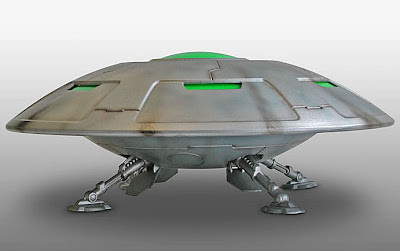 Scale Model News: UFO INVASION GROUP HEADING TO PLANET EARTH? 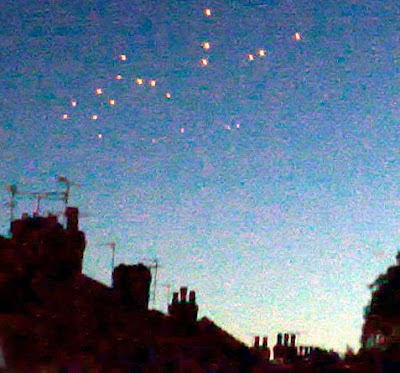 Now that summer’s nearly here, the UFO spotting season is well underway. 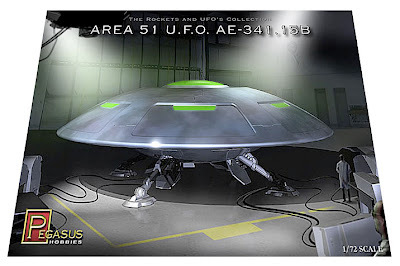 And with news that massed groups of mystery lights were spotted over England and Europe this week, perhaps it’s time to wonder again at what goes on at Area 51, in Nevada. Pegasus Hobbies' nice 1:72 kit envisages one possible answer - maybe the recent UFOs were squadrons of circular flying craft that were built here on terra firma, purportedly reverse-engineered from a mystery UFO that crashed many years ago. One mechanical engineer even claimed to have work on a ‘flying disc simulator’, communicating with an alien being called J-Rod. Ah well, here at SMN Towers, we’ll just have to stick with the Pegasus kit here. The London Daily Mail has a good feature on these recent events here.